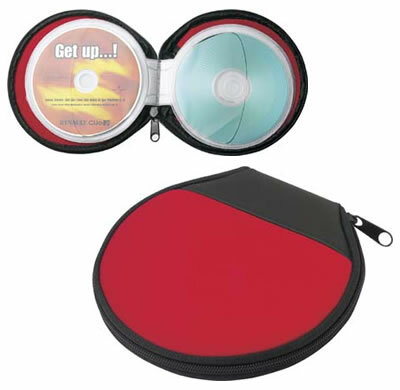 An economic and stylish range of CD holders which can be personalised with your promotional message. 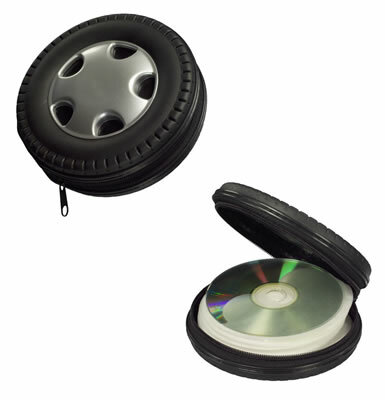 CD Holder for a car sun visor. 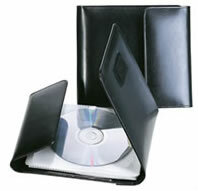 Holds 2 CDs. Can be personalised to display your promotional message for an extended period of time. 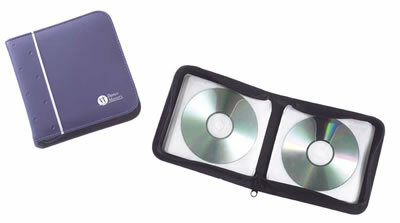 Lustre range zipround case in a fabulous new lustrous finish, this will carry up to 24 CDs in safety. 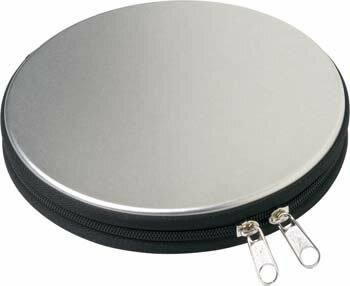 Size: 160 x 160 x 20 mm. Price includes one colour one position print. Origination £30. 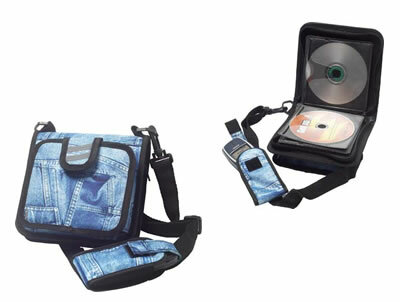 CD Holder with jeans print, holds 24CDs, with mobile phone pocket strap. Polyester. Size: 16.5 x 16.5 x 7 cm. Price is for plain stock. Please contact us for personalisation options. 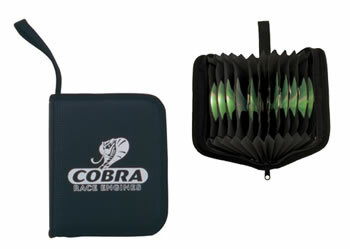 "Wheel" CD Holder, holds 24 CDs. Polypropylene. Size: 15.5 dia x 5 cm. 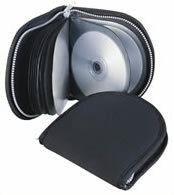 CD Holder, round, holds 12 CDs. Metal. Size: 15.3 dia x 2.5 cm. 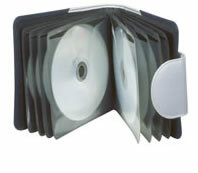 CD Holder, holds 24 CDs. PU, nylon. Size: 16 x 16 x 16 cm. Cd Holder, holds 12 CDs. Neoprene. Size: 15 dia x 1 cm. Size: 170 x 170 x 30 mm. Price includes one colour one position print. Origination £30. Unbreakable, Easy to use, Ideal for mailouts, 10 colours to choose from, Light, slim and attractive, makes a great advertising gift. Size: 125 x 125 mm. Holds 10 Cds. Colour: Black. 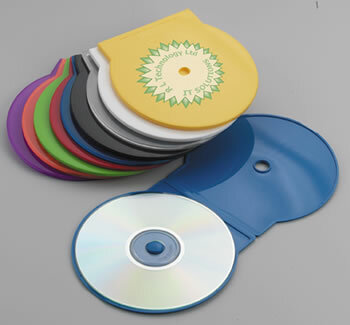 Includes one colour, one position imprint. 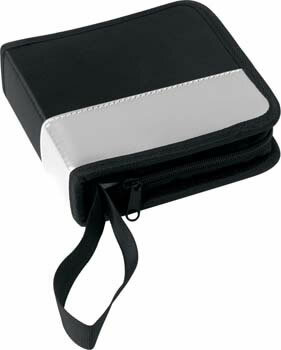 Holds 16 Cds. Includes one colour, one position imprint. Holds 10 Cds. Colour: Black. Includes one colour one position imprint. Diamond pattern P.U. Features concertina CD sleeves. 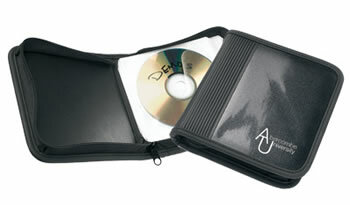 Holds 24 CDs. Available in Black. Price is for plain stock. Please contact us for other quantities and personalisation options.